Note: This writeup was posted 37 weeks ago on my Instagram account. I am doing a general cleaning there and this is one of the images I'll be deleting. But I wanted to keep it here for safekeeping. And blogs are indexed easier by Google. Though it's located at the most conspicuous place at the city, beside the plaza and the city hall, the building itself doesn't have any sign about it. 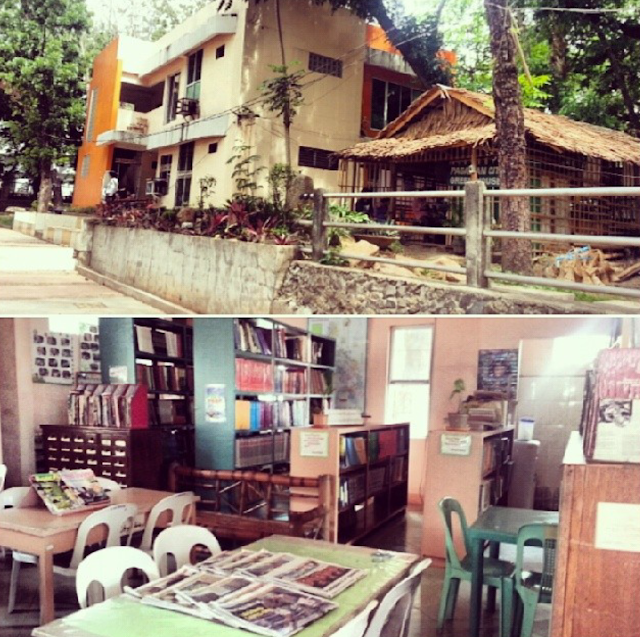 This is the Pagadian City Public Library. An almost 20-30sqm space with about 8 tables where 5 are occupied by each staff and 3 for the readers (I'm definitely wrong with the numbers). No generators even though brownouts have fixed schedules. And most importantly, the weak collection. I dont want to sound like a snob, but the way we present our public libraries is one factor why readers do not visit. When I entered, the staff looked perplexed like they don't get visitors too often and then asked me who I was. I said I'm a librarian too and if they'd allow it I'd like to take some pictures.